With the daily user base of 59 lakhs with more than 10 lakh of online tickets being booked on the daily basis. It was a huge achievement by IRCTC. IRCTC has huge power and handling so many users on daily basis. With huge power there comes the responsibility. In accordance with that, to provide efficient service. The Indian Railways has issued fresh guidelines for all travelers to deal with all the problems, starting from booking tickets to during journey till reaching their destinations. The Railways recently also modified a few rules for online ticket reservation including Tatkal ticket booking system to avoid misuse of the facility by anybody. Here's a look at the new rules. (b) A maximum of two tickets can be booked during opening advance reservation period between 8:00 am and 10:00 am. (c) A user can have only one login session active at one point of time either from multiple windows of same browser or different browsers. ALSO READ: How to buy Patanjali Sim card? (d) Quick book functionality (single page for booking tickets) is not accessible from 8:00 am to 12:00 noon. (e) Besides Captcha code, an additional security question is asked randomly after passenger input page related to user personal information- username, mobile number, email etc. (f) A minimum input time has been set at 5 seconds for different input page. (g) Irrespective of the number of passengers, only 25 seconds is provided for to fill the commuters’ details in the passenger detail form. (h) To carry out payment, a minimum time check is set at 10 seconds. (i) Online mode of payments- net banking, one-time password (OTP) system- mandatory. (a) If the train is delayed by over three hours at the journey originating point of a passenger and not his boarding point- if the passenger’s journey originating point and boarding point are different. (b) If the train is to run on a diverted route but the passenger is not interested to travel on that route. (c) If the train is to run on diverted route and boarding station or the destination or both the stations are not on the diverted route.11:00 am to 11:30 am. Besides. Aadhaar Card is mandatory for agents’ registration. (d) In case of non-attachment of a coach in which Tatkal accommodation has been earmarked and the passenger has not been provided accommodation in the same class. (e) If the passenger has been provided a lower class in which he/she does not want to travel. (f) In case of RAC and wait-listed tickets, the refund will be made only if the confirmed ticket is present for cancellation up to 30 minutes before the scheduled departure of the train. (g) The refund of fare will be made after deducting the charges. This article was revised on 23rd June 2018. 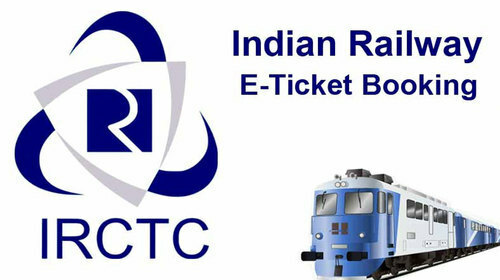 Hope for your better convenience with new guidelines of IRCTC.